Dramatized picture. Unfortunately, Brian and Deb didn’t realize what a pivotal moment it was when the snowdrift blew in through their big-box cruddy dog door, so no actual photo was taken. One morning in the winter of 2005, Brian and Deb Algar woke up to find a pile of snow in their living room that had blown in through the cruddy dog door they bought at the local big box store. This was the last straw for Brian. He looked all over, both at local stores and on the internet, and there just wasn’t a pet door on the market that was made with energy efficiency in mind. So Brian decided to build one. He spent the next year figuring out how to make a door that was both airtight and easy for pets to use. He searched for the right materials for the door – they needed to be tough to last for years and years in the harshest outdoor conditions and also safe and non-toxic to pets. After dozens of prototypes, he honed in on the current DoubleMag™ flap system design. Freedom Pet Pass was launched in 2006. We sold just a few dozen doors, with production taking place in Brian and Deb’s basement. We started selling locally and through a few distributors. By focusing on continuous product improvement, high quality standards, and outstanding customer service, word-of-mouth helped our company steadily grow. We launched our website in 2009 and hired our first employee in 2010. Today, we’ve grown to selling thousands of doors to energy-conscious customers all over the world. 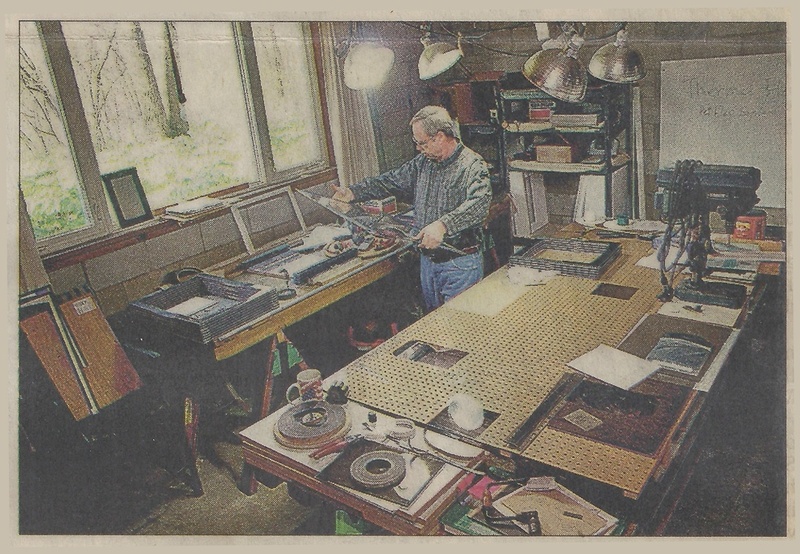 We’re still a small, family-owned company, and we still take a personal approach to customer service. Most importantly, we still focus on making the highest quality, most energy-efficient pet doors. From the very beginning of the company, Brian was focused on achieving and documenting real, meaningful energy-efficiency milestones. He was frustrated with the “greenwashing” that took place in the pet door industry, and he wanted no part of that. Freedom Pet Pass doors have gone through significant testing and development through the years to remain at the pinnacle of energy performance. Brian and Deb Algar are the founders of Freedom Pet Pass. 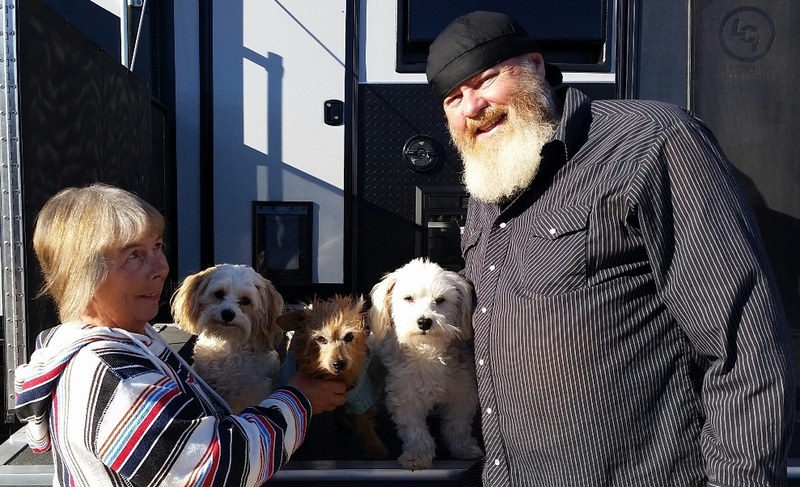 After more than ten years of running every aspect of the business (including answering phone calls nights and weekends), they’re now enjoying a semi-retirement that includes some traveling across the US. However, Brian can’t help but stay involved, especially with helping customers. He’s constantly monitoring customer questions, and will often contribute his decade-plus of experience with pet doors to help customers. Don is the Chief Operating Officer, and he began working at Freedom Pet Pass in 2014 after working as a marketing consultant for a few years prior to that. Don runs the day-to-day operations of Freedom Pet Pass, and you’ll often talk with him if you’re calling or writing. Don comes from a science background, and he enjoys the highly-technical aspects of building science and how Freedom Pet Pass doors can help make and keep homes energy-efficient. Don has chemistry degrees from Ferris State University and Saginaw Valley State University along with an MBA from the University of Michigan – Flint. Tim runs production at Freedom Pet Pass, and he’s been with the company since we were building pet doors in Brian’s basement. Tim has helped to optimize our manufacturing techniques and has a focus on quality to make sure we only send out doors that meet our standards. Tim is a rabid Detroit Lions and University of Michigan football fan, and he is our resident music trivia expert. 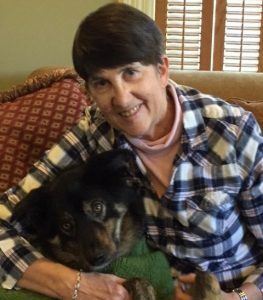 Barb joined Freedom Pet Pass in 2017 as our office manager. She does much of the “behind the scenes” work to make sure the company keeps chugging along as it should. Barb came to us after a career in dentistry, both as a hygienist and an office manager. Barbara likes to make hand-knit dog sweaters (like the one Liam is modeling), which get donated to the Saginaw County animal shelter. Rick started working with Brian in the very earliest days of Freedom Pet Pass (before it even had a name!). Rick’s day job is making custom cabinets, and he runs the CNC router at the firm that cuts many of our custom-made parts. He moonlights with us, doing much of the millwork needed for manufacture of our doors in his shop.